Every kart begins with a good chassis. Kart chassis are made of steel tube and have no separate suspension system. The chassis must be stiff enough to support the forces from the weight of the cart and the rider during turns, but still be flexible enough to work as a suspension, flexing and moving as the kart goes around the track. There are different kinds of chassis for the different kinds of racing. An offset chassis is used for left-turn-only speedway racing so the driver sits on the left side of the kart. A straight chassis places the driver in the center and is used for sprint racing. Caged karts have a roll cage surrounding the driver. These will be found at some indoor rental locations as well as dirt tracks. Open karts have no roll cage. 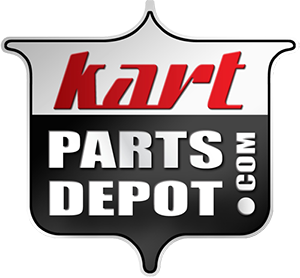 Some kart chassis will accommodate stiffening bars at the rear, front, and side so that the driver can alter the stiffness of the chassis. Adjusting the stiffness of the chassis provides different handling for different track conditions. A more flexible chassis will perform better in wet conditions and a stiffer chassis is better for a dry track. The side pod bars on the kart will have the biggest impact on the stiffness of the chassis so if you are looking to make big adjustments, go there first.